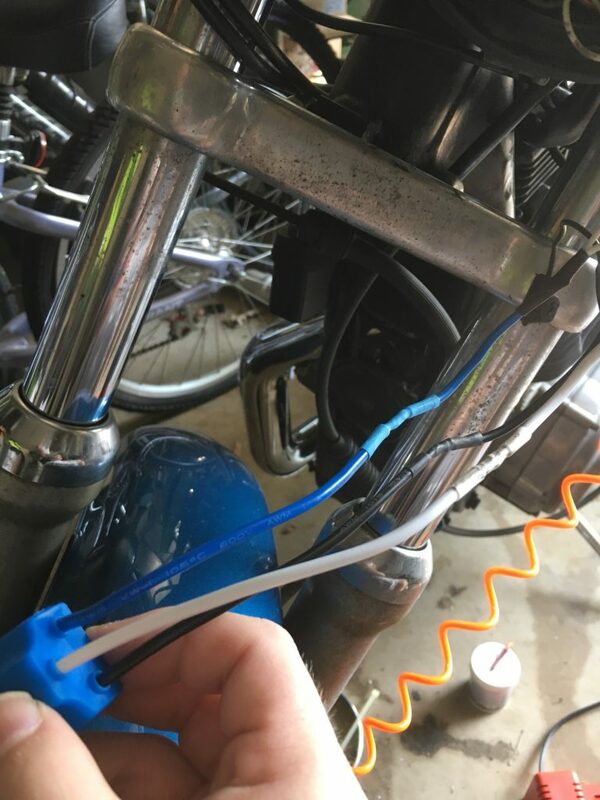 I got up early to beat the heat and started wrenching on the Fat Bob and Jeep. 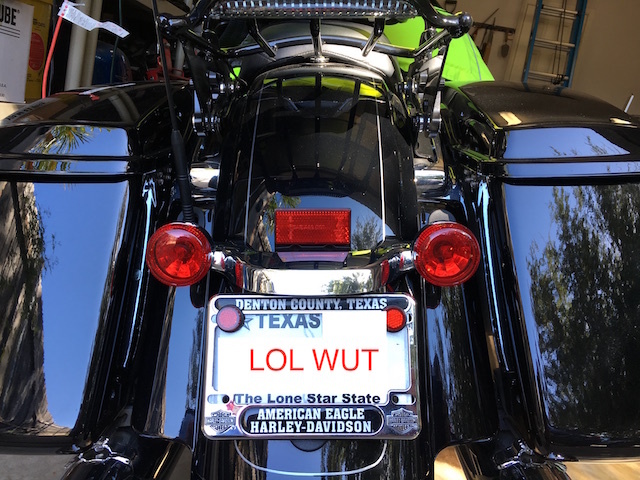 Most of the work was on the Jeep, but I did install the detachables mounting points on the Fat Bob. The installation was relatively straightforward, as long as you’ve got the right tools. After installing them, I added the magnetic covers. The magnets in them are really strong, so I don’t have much concern about them falling off. Here’s some before and after pictures. After I finished with the bike, I started on the Jeep. First, I started on the oil change by opening the drain plug and letting it drain while I worked on other things. 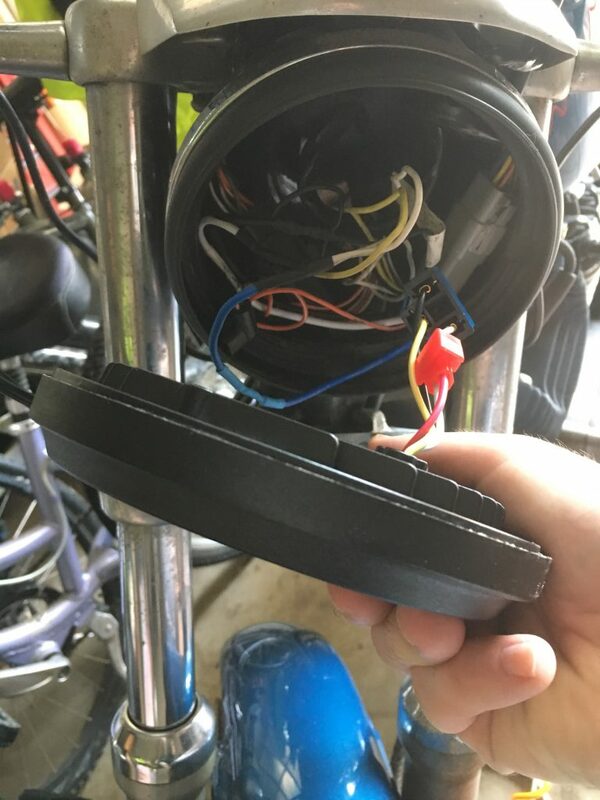 I pulled apart the dash, pulled out the HVAC controls, and checked on an LED that hasn’t been lighting up. The LED in question was, in fact, burned out, so I’m going to have to order a new one. In addition to troubleshooting that LED, I also added a small wedge to keep the radio from sagging. I then put the dash back together and replaced the shifter boot and bezel, which were all but falling apart. I then crawled back under the Jeep and finished off the oil change, which was completely uneventful. Finally, I installed the American Outlaw Gate Keeper. It’s an add-on that corrects one of the flaws in the Wrangler design. 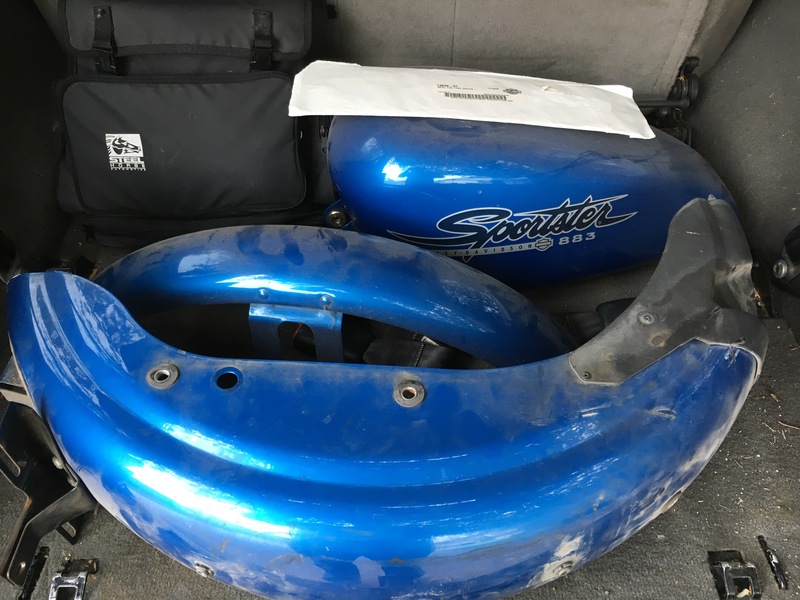 Namely that the tailgate does not lock open, which makes it really tough to put on 65 pounds of dive gear from in the cargo area. 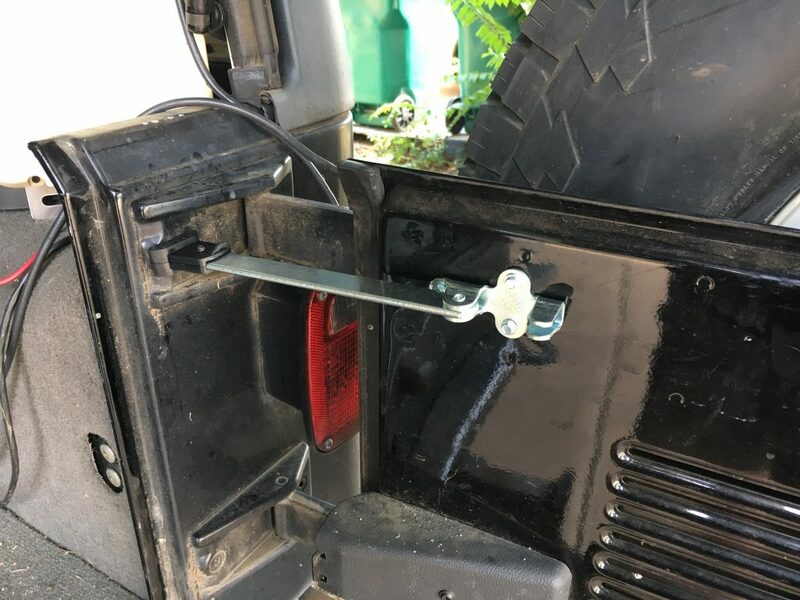 The Gate Keeper is a brace that holds the tailgate open. 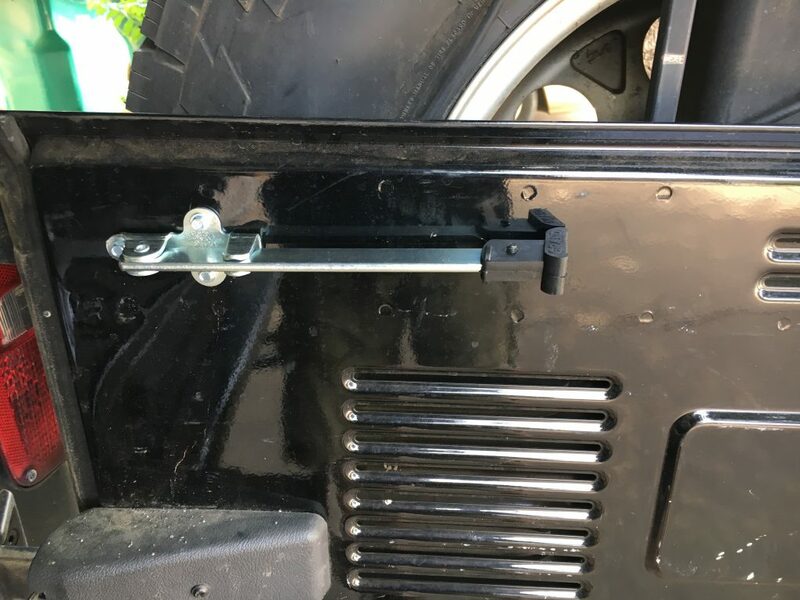 It mounts on the tailgate using self-tapping screws, and folds away when not in use. I’d strongly recommend that you use a drill to drive those self-tappings screws in, because doing them by hand is an exercise in frustration. Here are some pictures of it. It’s no secret that I haven’t been riding the Road Glide all that much. The bike is great for touring, but isn’t all that much fun otherwise. It’s heavy, top heavy, and I was continually afraid that I’d drop it. 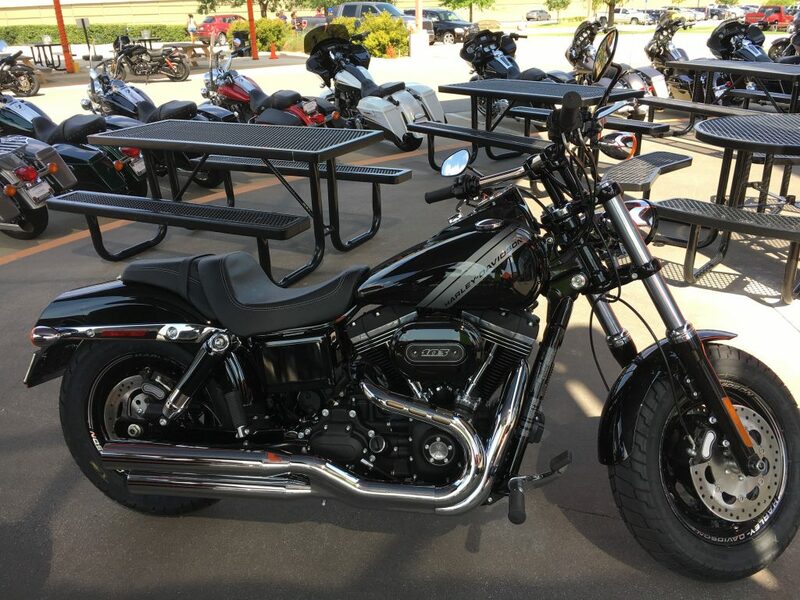 I knocked off work and rode up to American Eagle Harley Davidson to see what they had to offer. Today was the last day of their retail for trade event, so I was hoping to get a decent offer on the Road Glide. I did, and ended up riding home on a 2017 Fat Bob. Tony, the salesman that I was working with, was an absolute pleasure to work with. We started out by talking about what I liked and didn’t like, and what I wanted. After that he shoed me a few models, talking about their comfort and handling. Then I got to sit on a few different bikes to get a feel for them. 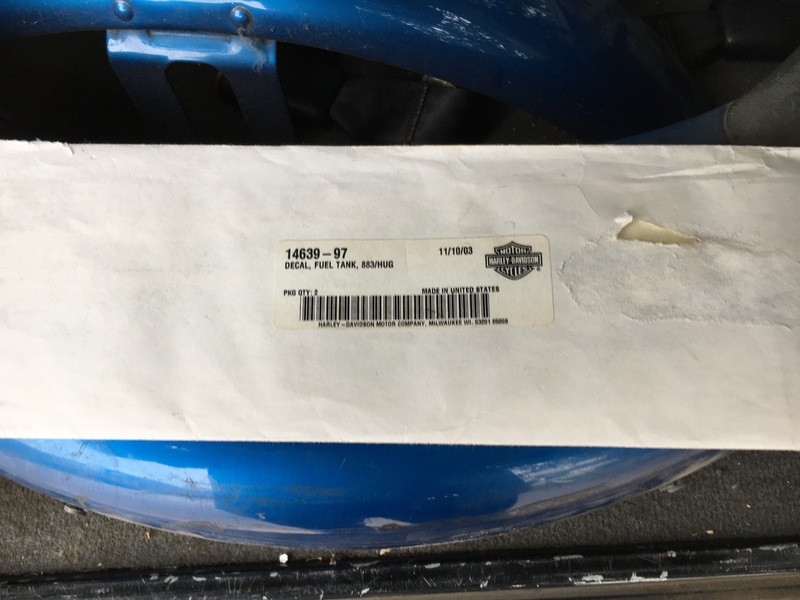 I was looking at Softails and Dynas, and Tony’s advice steered me to the Dyna family. Next, we started on test rides. 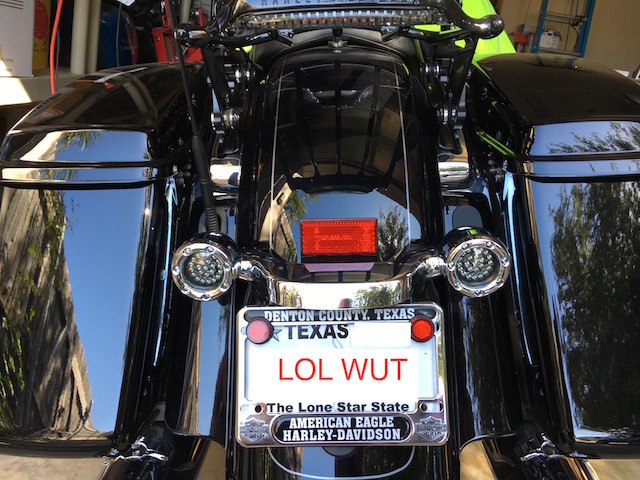 The first bike was a Softail Deluxe, and I didn’t even get out of the lot before I had made my mind up on it. It’s hard to explain, but it just didn’t feel right for me. The second bike I rode was a Dyna Wide Glide, which felt better, but was still a little off. It handled ok, but not what I was looking for thanks to the front end rake. The third, and final bike, was the Fat Bob. This one just felt right, handling how I expected, and looking good. I was zipping though parking lots, making U-turns, and just in general handling the way I like. At this point I wanted this bike to come home with me, but we needed to get the numbers sorted out. 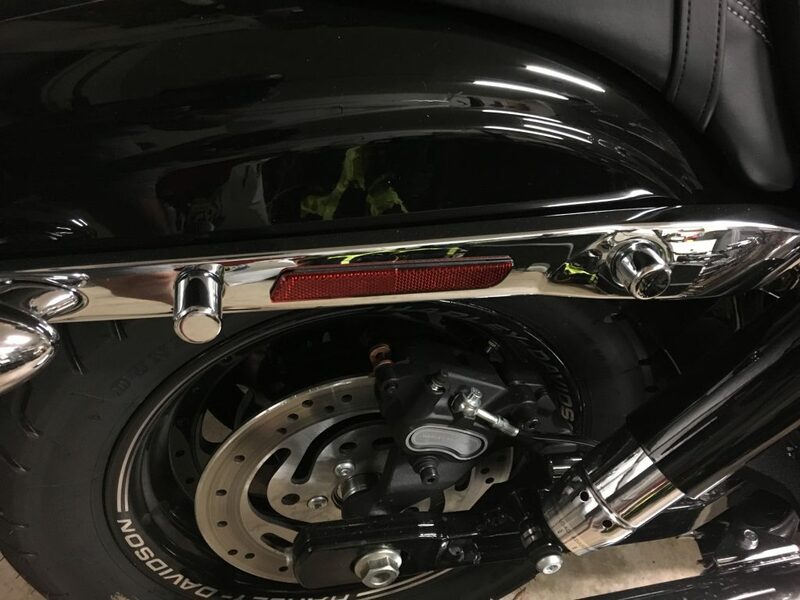 If they weren’t good, I’d be selling the Road Glide privately and then coming back. 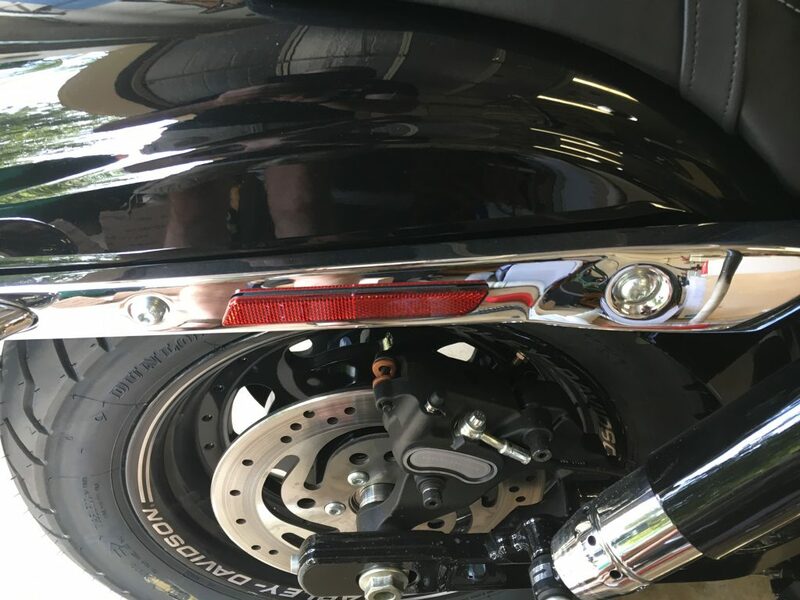 It turns out that I didn’t need to worry, as they gave me almost what I paid for the Road Glide in trade. In the end, I rode off on a two year newer Fat Bob, owing less than when I rode in. I’ve started the Sportster rebuild for real this time. 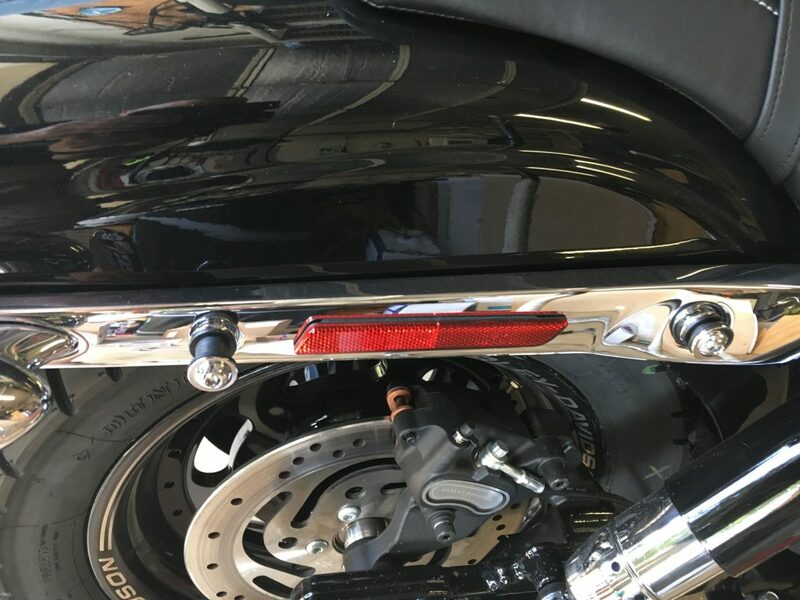 I took the fenders and gas tank up to InDepth Customs to have them repainted. Matt looked them over and is comfortable that he’ll be able to repaint them with the stock color, using the original decals I found a few years back. We’ve discussed what my goals are, and I think we’re going to be able to work together on it. I’m going with 2004+ 1200 heads, N4 cams, and some sort of performance exhaust. I’m also going to have to do a lot of cosmetic repairs and upgrades, because well, it’s twenty years old. Those are things that Reese and I can do when he’s down here though. I’m not sure what the actual timeline is going to be, but I’m hoping to have it up and running by the end of May at the latest. Here’s a couple pictures of the sheet metal on its way up there. In addition, there are a few rust spots on the frame that will have to be touched up. I’m going to have him repaint the oil tank as well, because it also has some surface rust. The next step is to get the bike up to the shop so that we can determine what’s wrong with the engine. That will control which direction this project goes. 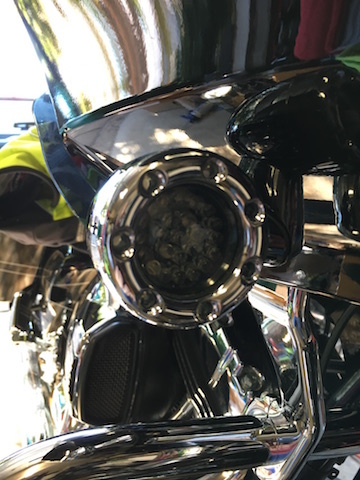 This morning’s project on the Road Glide was to replace the stock turn signals with Custom Dynamics Bullet Ringz. 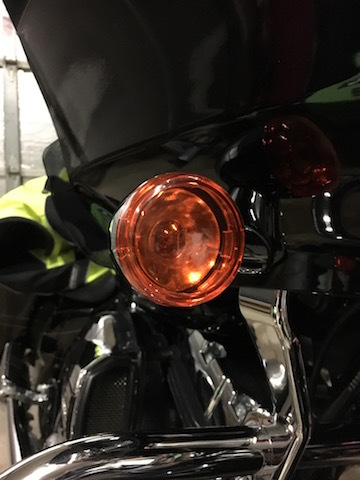 The stock turn signals are incandescent bulbs with colored lenses, red for the rear and yellow for the front. They’re passable as far as brightness is concerned, and I’m really not terribly concerned about the power draw from them. 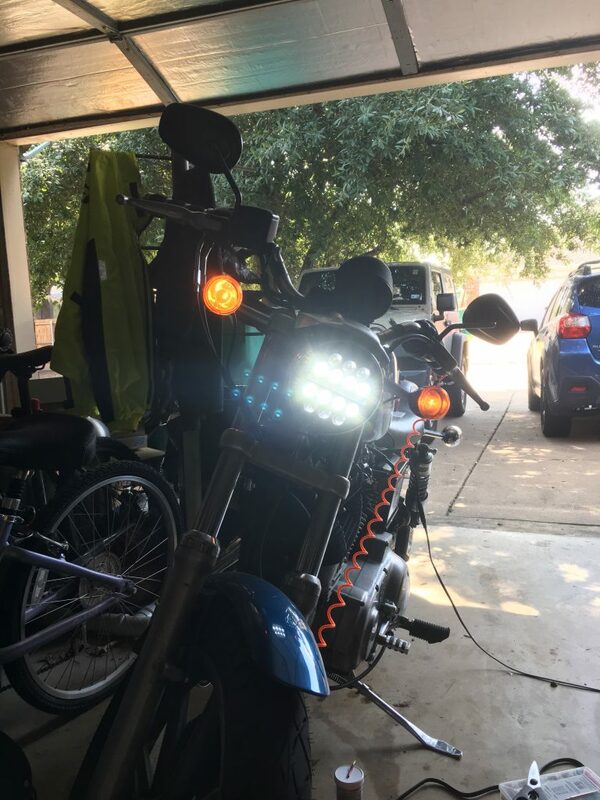 The Bullet Ringz are LED based, much brighter than the stock bulbs, and give me better running lights, as well as slightly decreasing the load on the charging system. 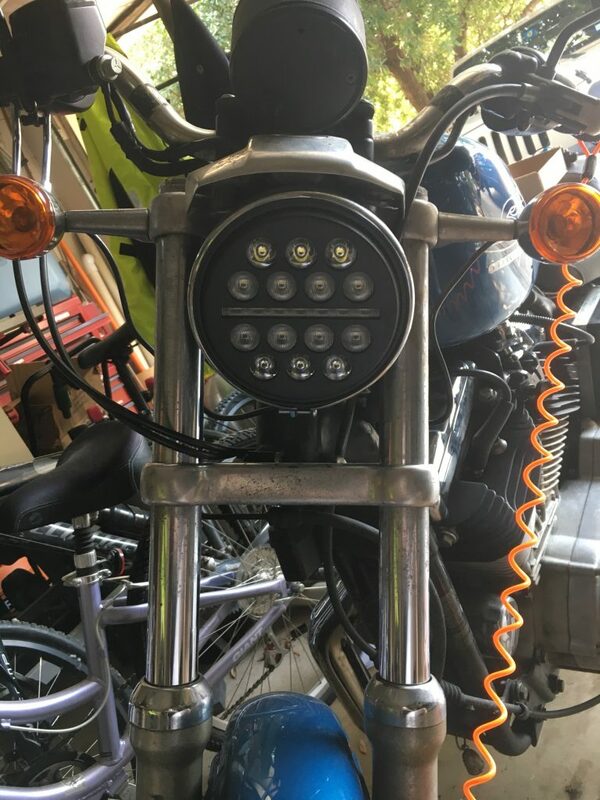 For the front, I chose to go with the amber/white modules, which have an outer ring of bright white running lights and an inner cluster of bright yellow for the turn signal. For the rear, I went with red/red modules, meaning that both the outer right and inner cluster are red. All of the modules were ordered in chrome, with the smoked lens option. Installation was extremely easy. Simply take off the old lenses, remove the bulbs, plug the module in to the light bulb socket, coil up the wires, and snap the new module in place. There is no need to replace the lenses, as the module is the replacement. 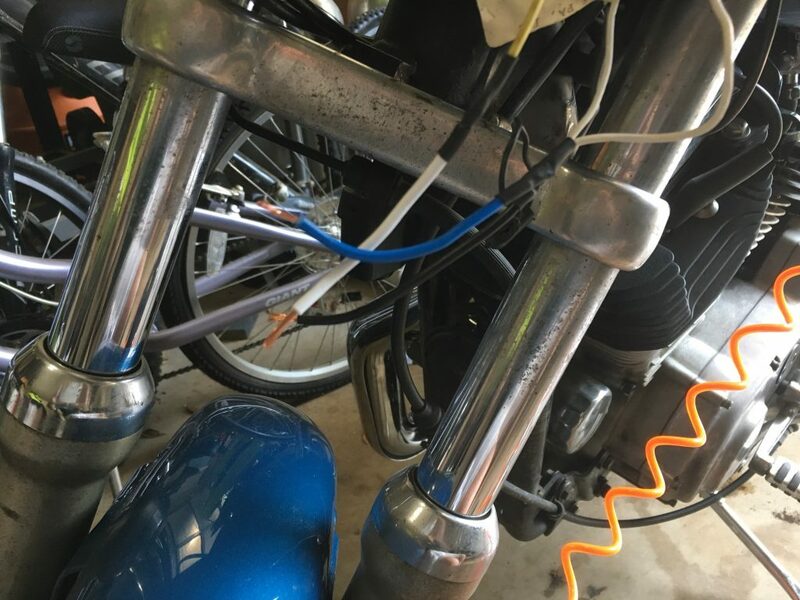 And since the bike has CAN-BUS electronics, there’s no need for a load equalizer. All I had to do was turn on the hazards for a couple minutes to let everything sync up. The end result looks good and performs far better than the original bulbs. This is the first of the cruise’s two sea days as we make our way back to port. It was pretty boring, but there were a few things to note. We slept in, got some breakfast, then headed down to deck 7 in order to buy a couple future cruise credits. They’re a great deal if you’re going to cruise again in the next two years. Basically, Princess considers them a deposit, and gives you some on-board spending money for using them that varies by the length of the cruise you book. We’ve already decided to do this again next year, so it was a no brainer to save some money. After lunch, we did a little packing and got ready for the final formal night of the cruise. We did a few more pictures, but dined pretty early because there was a movie playing on the Movies Under The Stars screen that we wanted to see. We got to lay back on comfy deck chairs, munch on popcorn, and watch Ant Man in the beautiful Caribbean weather. It was a relaxing way to spend an evening. And I finally got to try the Denali Red beer, by Kenai River Brewing Company which was also pretty good. Today’s port of call on the cruise was Curaçao, another one of the Dutch islands. We again took a bus tour to get a feel for the island. It took us through the city of Willemstad, including seeing the pontoon bridge, before stopping at the Curaçao Museum. We spent some time there, looking at the exhibits and talking to our guide before getting back on the bus to head to the original Curaçao liqueur distillery. There are a number of imitators, but this is the real thing. They’re a pretty small operation, which explains why it can be tough to get, even in a city as big as Dallas/Fort Worth. We got to do a tasting, including some other flavors I hadn’t heard of before like coffee and rum raisin. While in the gift shop I picked up a bottle of the blue and orange colors, as well as some miniatures of the other flavors, all at pretty decent prices. We boarded our bus and drove to the Hato Caves. The caves are limestone caves, with the formations that you’d expect from that geology, except that they’re in what was the coral reef millions of years ago. There was a bit of a hike, through more rain, to get to them, and they’re on the small side, but they’re in good shape and it was an enjoyable stop on the tour. That was about the end of the tour, so we drove back to Willemstad and got dropped off in the city so that we could walk around and do some final shopping. When we got to town, the pontoon bridge was closed, so we walked around the open air market on that side, picked up a few things, and tried to kill some time in the hopes that it’d open. Sadly, that wasn’t to be, so we hid out from another rain shower, waiting to board the free water taxi. Once on the other side, we walked around looking for somewhere to eat and settled on a small cafe. Service was a little slow, mostly because they were short staffed. I enjoyed a couple beers, including a Venezuelan one, and had a great Thai curry dish. With our bellies full, we walked around a little more, didn’t really find anything that we wanted to buy, so we started back to the ship. This time the pontoon bridge was open, so we got to walk across, getting a great view of both sides of the city, as well as some colonial forts. There were a few vendors set up right in front of the ship and I managed to score a shirt, another Christmas tree ornament, and a few small souvenirs. After dinner we decided to do a load of laundry because some of my dive gear had gotten pretty smelly. And yes, I did rinse it as soon as possible after getting back. Thankfully the washer took care of it, and the cabin wasn’t funky any more. The day after Christmas our cruise stopped in Bonaire, on of the best places in the Caribbean to dive. Heather, again, had her own tour booked, so once I’d seen her off, I waited for mine to begin. We had a short walk from the pier where the ship had docked to the dive shop, where we paid our fee to the marine park and did our pre-dive orientation. We then walked back across the street, got on the boat, and headed for our first dive site. The boat was a little smaller than the one in Dominica, so we felt the waves a little more. Once there, we got our gear on and got in the water to do a buoyancy check before descending. The divemasters did a buoyancy check and told me to add two pounds to my weighting, which I think was too much based on needing to add air to my BC, but I’ll review that with the local dive shop later. We went down and were treated to some amazing corals and fish. Where Dominica had some here, and a little more there, Bonaire was just a continuous scene of coral, plant, and animal life. Unfortunately, my dive was cut short because my buddy had some equipment problems that caused her to go through most of her air in about 20 minutes. So we surfaced and did a surface swim back to the boat. On the way to the next site, we stopped and got some replacement gear, and then got the rest of the way over to site two. Back in the water and down the wall, swimming in to the current on the way out, and seeing some really amazing coral. There is a little bit of bleaching, but very little, with the vast majority of the reef looking extremely healthy. I saw lots of parrot fish, urchins, and other small reef fishes. But the treat of the dive was after we’d turned and were actually under the boat, using up some air before surfacing. We ran in to a Hawksbill sea turtle just swimming along. So, of course we followed it, taking pictures and video at a respectful distance. After surfacing, we went back to the shop, rinsed our gear, updated the log books, and returned to the ship. Somewhere along the line, my fins got misplaced and didn’t make it back to the ship with me. Everything else is accounted for, but they’re gone.